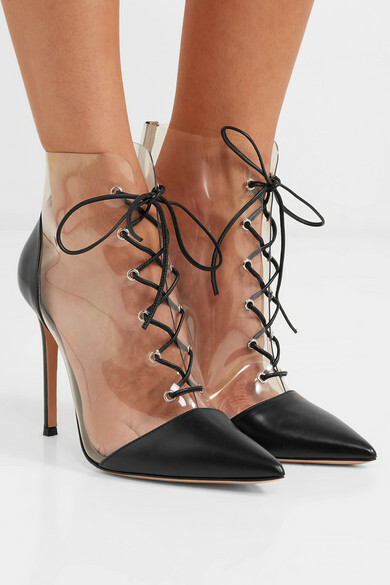 Of all the trends to note this season, transparency might just be the biggest of them all - and when it comes to footwear, who better to look to than Gianvito Rossi? These ankle boots have been expertly made in Italy from clear PVC with a black leather heel and pointed toe. 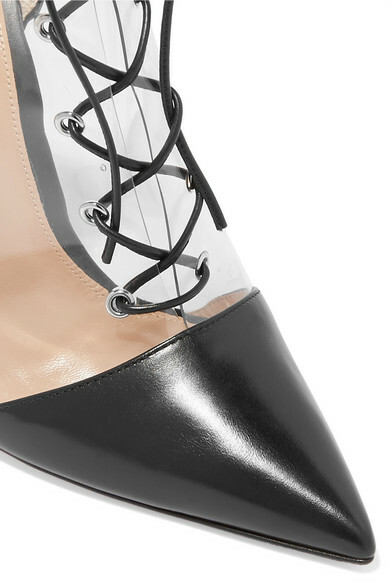 Wear them with a midi dress to showcase the lace-up front, which is reminiscent of vintage corsetry. 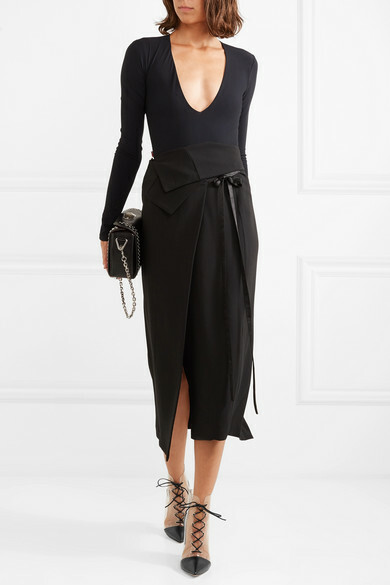 Shown here with: Ann Demeulemeester Skirt, Alexander McQueen Shoulder bag, Alix Bodysuit, Dinosaur Designs Earrings.